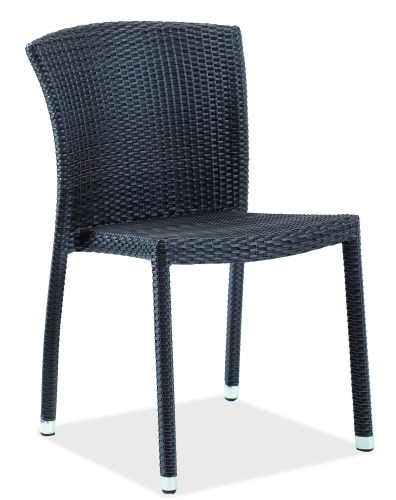 This outdoor restaurant chair features an aluminum frame wrapped in indo coffee color PE weave. This is the perfect chair for a resort or any other place where relaxation is the focus. Best feature of all is this chair is stack-able, and stacks 7 high.